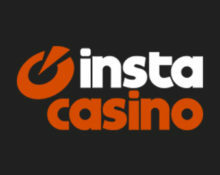 InstaCasino is coming to town! ‘Tis the season to be jolly and InstaCasino want you to “Keep It” Real this Christmas with their RealSpins. So They have created an extra special festive feast for you. Each day, we will reveal a new Christmas treat here so you better watch out, you better not cry, better not pout, Im telling you why… InstaCasino is coming to town…. Make sure to log in daily up to Christmas to reveal the latest festive treat. No Deposit RealSpins: Make sure to have made a deposit within the last 30 days and you automatically qualified.